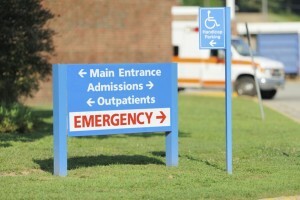 Before the enactment of the Affordable Care Act (ACA), hospitals were not penalized for patient readmission within the first 30 days of a discharge. This led to the American healthcare system spending $41.3 billion dollars in just 11 months to treat readmitted individuals. Today, even with the ACA’s readmission penalty, hospitalization makes up nearly a third of the $2 trillion spent on healthcare. Manage medication adherence: When individuals don’t take prescriptions the way they should, especially those with chronic diseases, it can result in up to $300 billion in unnecessary healthcare spending and hospitalizations. This issue can be remedied by making sure you and your love ones not only take medication according to the directions, but get prescriptions filled and refilled in a timely manner. Consider telehealth: As telemedicine advances, so does the opportunity to reduce hospital readmissions. In fact, the use of telehealth could save as much $6 billion a year on healthcare spending according to a Towers Watson study. It’s important to ask your doctor what options are available to engage with them digitally and monitor your vitals remotely. Some telehealth options today are even covered by insurance. Try in-home care: One of the best ways to avoid hospital readmissions is daily monitoring during the first month of returning home. However, if you’re tasked with taking care of a loved one while working a full-time job, or simply don’t have the training to be a caregiver, this can prove difficult. Certified in-home caregivers are trained to look for symptoms and signs of a potential hospitalization and can help handle health problems proactively. When a loved one returns from the hospital, your main goal should be a comfortable recovery. Avoiding readmissions can help prolong their health, but doing so can be difficult, especially without experienced help. That’s why our CNA caregivers are specially trained to reduce hospital readmissions and help you better handle in-home care. To find out more, contact your local FirstLight Home Care today.